It was a warm evening last night, nonetheless we still had a reasonable gathering of members at the Winchmore pub for our Toastmasters meeting. Rosy, our President started us off by positioning our public speaking club within the wider Toastmasters International organisation (Club – – > Area – – > Division – – > District), which was useful context. She also mentioned that there would be a humorous speech contest in September and that we should all get our thinking caps on now for ideas. Rosy had been to an event at the weekend where the Speech contest winners of 4 Districts were speaking and she encouraged us to go along to these events where we can as they are both inspirational and great place to pick up tips. Sinita was the Toastmaster for the evening. This was her first time in the role and she did an excellent job, full of enthusiasm, listening ardently to the speakers and leading us through without a hitch. Dorothea was grammarian, and she introduced us to the word of the day, Ardent, which a few of us managed to slip into our speeches. Nadia kept us all right on time, and Graeme watched for anyone using filler words, such as “erm” or (my personal favourite) “you know”. Pausing instead of using these filler words can greatly increase the impact of your speech. On to the prepared speeches. Rosy told us a very interesting tale, from the advanced speakers Storytelling manual, about a disgruntled little girl and how her mother taught her that everyone faces adversity but what’s important is how you react to it. We were encouraged to be like coffee beans, enhancing our surroundings. Lee did a fine evaluation of her speech. Salem’s speech was from the Technical Presentations manual: a business proposal followed by Q&A. I think most people had set themselves up for a dull technical presentation however Salem, ever creative and engaging, proceeded to convince everyone to buy into his rent-a-burglar idea. Uber for burglaries, if you will. Such was the impact of his winning speaking style, the Q&A was full of people asking how they could sign up to this clearly ridiculous idea. 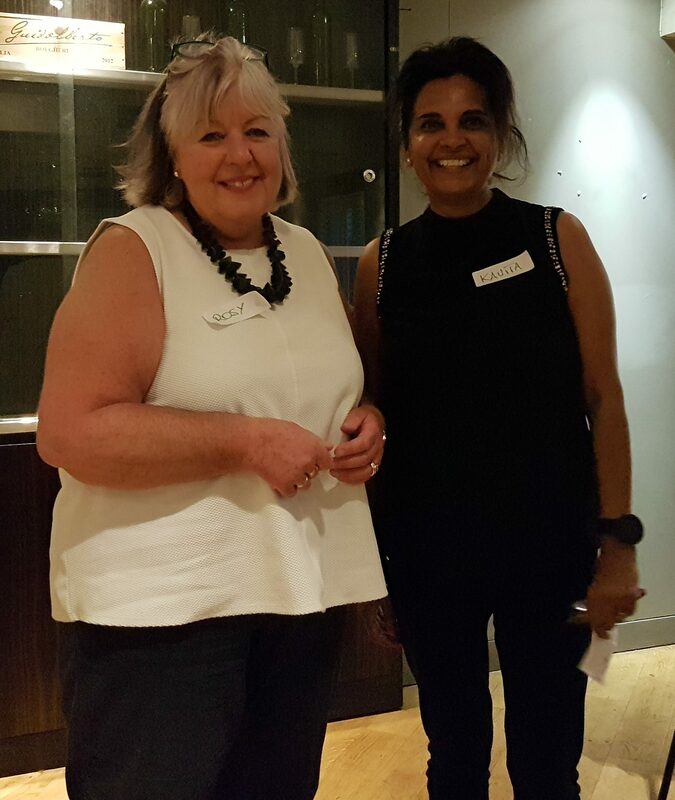 After the networking break, Rosy led an accessible and entertaining table topics session, where people picked a hobby at random from a box and had to wax lyrical for 1-2 minutes on how they are keen sea fishers or bird watchers or fairytale writers. Kavita did an excellent job of explaining how she had always collected James Bond memorabilia, and won the prize for best table topic, along with best evaluator for giving feedback on Salem’s speech. Anna evaluated all the table topics speakers and Graeme provided an evaluation of the whole meeting. All in all a very enjoyable evening and I look forward to the next one on August 7th.